In fact, Grakov (a UK/USA Educated IT Management Expert from Bulgaria, the incoming rotating EU Presidency for January - June 2018), has Both to Protect Data and to Facilitate Information Networks on EU Citizens' Free Movement and Security area, VISAs and Asylum Seekers' administration, as well as Inter-Operability of EU Networks by "EU-LISA", created on 2012, whose Operational Activities are Headquartered in Strasbourg, (France), its Secretariat being hosted in Tallin (Estonia). Data Protection and EU Information Sharing currently Growing both in parallel, EU-LISAgency's activities and responsibilities, naturally, are recently also Growing fast, needing a Wider Space and more Means, as MEPs observed Today. - But, will EU's Large Information Systems' Agency (EU-LISA) really meet the Challenge of both Protecting Personal/Private Data, as well as Helping Crime/Terrorism Prevention by adequate Information-Sharing, and how ?, "Eurofora" mainly asked EU's IT CEO Garkov. - Questioned in particular, on the Entry into Force of EU's New Directive on Data Protection and how to cope with necessary Changes, Garkov calmly estimated that, -"Well, there woN't be such a Dramatic Impact". - "Of course, we (EU-LISAgency) have to Align our Internal arrangementts, related to the (Information) Systems, according to the New (EU Directive's) Requirements", he acknowledged, as a matter of Principle. - "But", in Fact, "the New Requirements are not so Dramatically Different from what we Already have in place", ensured the Experienced EU-LISA's Chief, who is in charge since its inception and beginning, from 2012-2013, (Comp. relevant Garkov Statements to "Eurofora", already on this Historic Event's occasion, then, at : ...). - F.ex., concerning "Scrutiny" on EU's IT Agency, we recently had "a Mission" about that, and, "So Far, there is Not something Critical that was found ... that might make Anyone Doubtful about the arrangements in the Agency", he observed, in this regard. => "So, there Will be New Requirements, but I'm quite Sure that we shall Successfully Cope with them", EU-LISA's Head promised, optimistically and/or with voluntarism. 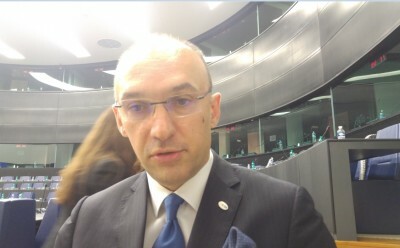 + On Topical and "Hot" Crime/Terrorism Prevention issues, "Eurofora" asked Garkov how could EU Avoid, in Future, the Gross Blunder (and/or Lacuna) which had allowed for a Persistent Offender, an Afghan irregular Migrant 32 Years old (as his own Father revealed Later-on), who had Already been Convicted and Jailed in Greece (where he had arrived through Turkey, amidst that Unprecedented "Tsunami" of +1,5 Millions Mass Asylum Seekers/Irregular Migrants of 2015-2016) for Brutally Aggressing and throwing over an 8 Meter High Building a Young Girl who survived but was Seriously Wounded after Resisting to his Sexual Assault, to Come, afterwards, in Germany, where he Fooled the Authorities by Claiming to be a Young "Teenager" and a "Refugee", so that they Gave him a Protected Status, a Foster Family as "UnAccompagnied Child" (sic ! 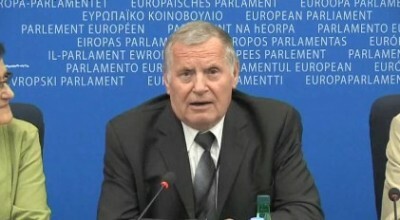 ), regular Money and Training, until he Brutally Raped and Murdered anOther Young Girl, at Nearby Freiburg, on 2017, who was even Helping Refugees as Volunteer, and whose Father was working at EU Commission in Brussels : German Authorities reportedly did Not Know Anything about that recent Past of that Coward Monster, because of an ill-elucidated yet, Scandalous Flaw in the Information System of Police Cooperation on Criminal matters concering irregular Migrants from 3rd (Non-EU) Countries : The Famous Maria Ladenburger affair, which Recently arrived at the Courts. - "Here comes the role of ECRIS-TCN" (the "European Criminal Records Information System" on "Third-Country Nationals"), which is a relatively New System on Criminal Records' exchanges for 3rd Countries (Non-EU) Nationals, recently proposed by the EU Commission, and is Now at the Table" (of EU Council + Parliament), Garko punctually replied to "Eurofora"s above-mentioned Question in EU Parliament - (by a Coincidence, just before Meeting, Later Today, at EU-LISAgency's Headquarters in Strasbourg, with EU's Rapporteur for the Budgetary aspects of ECRIS-TCN, MEP Bernd Kolmel). - "We (EU-LISAgendy) Shall have to Develop that. We shall do", he confirmed, after a relevant EU Commissions' official announcement, since June 2017. 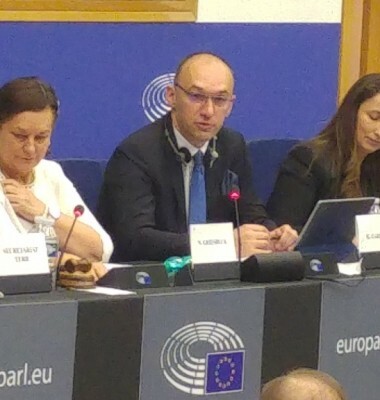 + "Mainly, it will provide (EU) Member States with the Information if a particular Individual, National of a 3rd Country, has Previous Convictions, and in what (EU) Member State", Garkov explained. => "So, the relevant Authorities, f.ex. in Germany, will be Able to Approach the Authorities, f.ex. in Greece, and Ask for Details :" I.e. "What was the Conviction ? ", etc., etc. So that will be Known. This is Coming" asap, he announced. - In order to Facilitate things in real Practice, "it will be as Automatic as possible", and, at any case, it will be treated as a "Part of the (EU's) Inter-Operability package" of Measures, which EU Commission proposed recently to entrust to EU-LISAgency, its CEO concluded in reply. - In the Past, indeed, "the System had some Gaps", he acknowledged earlier. - Particularly "on Identity Fraud", which was "the Most Important" Problem, where a series of "New Technologies Will be <<Game-Changers>>, in the Fight against Crime and Terrorism ! ", he Optimistically announced, speaking also at EU Parliament's Commission on Terrorism, previously this Morning. - "F.ex. ", that Islamist Terrorist who Killed many innocent Civilian People "in Germany, at Berlin's Christmas Market", (and refuged at a Turkish Mosque that he used to Visit, nearby), had ... "Forteen (14 !) Different Identities", all "Fake ! ", he denounced. + This was Added to MEP's Questions also on the case of the suspected "Ring-Leader" of the Deadly "2015 Mass-Attacks in Paris", who had, reportedly, "Travelled several Times, from/to Syria", (arriving through Turkey, into EU Member Greece : I.e. crossing again and again EU's External Borders), as it was also pointed out. - But, Nowadays, "Modern Technology can Contribute to the Fight against Terrorism", (that "95% of EU Citizens cinsider as a Considerable Challenge"), which is mainy "Information-Driven ! ", Garko stressed, before Describing some More concrete "New Tools", in this regard, (See also Infra). => So that, putting it in a nutshell, he underlined the Fact that, "Today, EU faces the Challenge" of the Need "to be Both Open and Safe !" - So that, "Now, we are Finalizing a ReConstruction Site", he pointed out, as far as it concerns mainly current affairs. - "But, Immediately, we shall have to Move to a Next Phase of Expansion, in order to Cope with the New Tasks of the Agency". 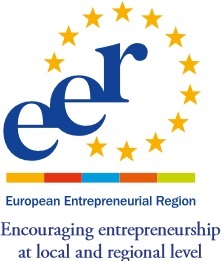 - This will also "be Here, in Strasbourg", in France, where EU-LISAgency's CEO looks confident that he shall find what is needed, including also the Fact that "we have a Good Cooperation with the Municipality", with "Support from the Mayor of Strasbourg", and "we have all the prerequisivities to go in the (new) site" as required, he told "Eurofora". - Earlier, Garkov had observed, indeed, that, just for the "Schengen system", Internet "Searches", which, already were More than "4 Billions" on "2016", had Grown "during 2017" for "+ 25%". And, "the Data Shared" until the "End of 2017", grew up to "+35% More" than before, (etc). 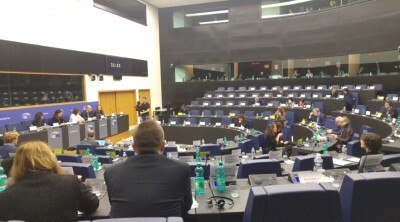 + In Addition, as he had just noted in his speech at EU Parliament's Commission against Terrorism, earlier this (Thursday) Morning, "for EURO-DAC" (the Asylum Seekers-related EU Information System), "since 2017, All Europe is InterConnected". - And, "from March" 2018, "we shall have also the Bio-Metric Data", with "Important", "Efficiency" and "Sophisticated Tools" for EU's "Coast-Guards", etc. => So that, in Total, there are Emerging several "New (EU) Capabilities" : F.ex., "on Alpha-Numeric Data, Bio-Metric Data, New EURODAC Regulation, Inter-Operability", etc., EU-LISAgency's Head resumed in fine. 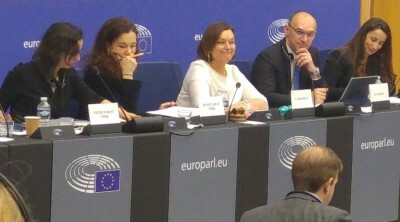 Garkov's Hearing Today had been organized by the President of EU Parliament's Commission on Terrorism, French Liberal MEP Nathalie Griesbeck, from Nearby Lorraine area of Strasbourg's new "Great East" Region. 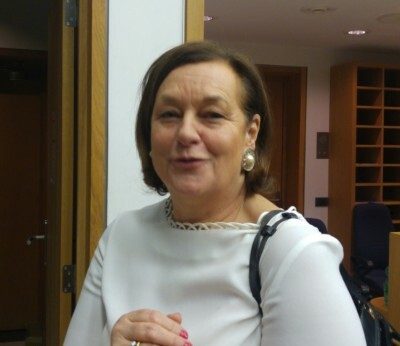 - President Griesbeck, greeting afterwards, with a smile, "Eurofora", (while rushing for the imminent Plenary's Votes at the Hemicycle), told us that she intends yet to Carefully Prepare all the concrete Issues which may be Discussed at some Long and Important Next Sessions, more than a Month Later in Brussels : On 21-22 March 2018, (eve of EU's Heads of State/Government Summit of 22-23 March, there). 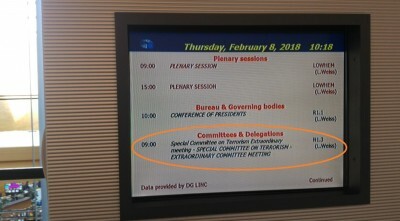 - At any case, our Committee is, in general, entrusted with a Wide Mission : To Examine both eventual Flaws and Problems, as well as Best Practices and possible Needs and/or Proposals in order to Ameliorate the Efficiency of EU's Fight against Terrorism, as she reminded earlier Today. - Jurgen Ebner, of the German Federal Criminal Police Office (BKA), Head of the Central Information Management's Department, and Jean-Jacques Colombi, from the French National Police's Judicial Directorate, Head of International Relations' division. 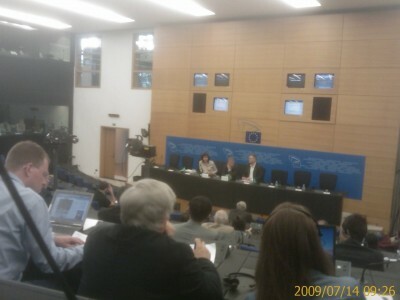 Unfortunately, that Interesting, Cross-fire Hearing, concerning the 2 Biggest EU Countries, (which obviously prepared also the subsequent, EU-LISAgency's CEO Krum Garkov's Hearing), was inevitably placed "In Camera", (i.e. 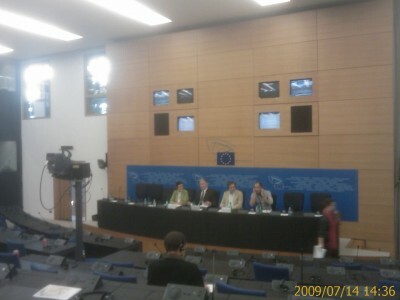 behind Closed Doors for Journalists, including "Eurofora", who had to Wait discussing between collegues at EU Parliament's adjacent corridors), so that the Informations exchanged on that important occasion with MEPs, (which as we Witnessed, durated Longer than Scheduled), remain Confidential.